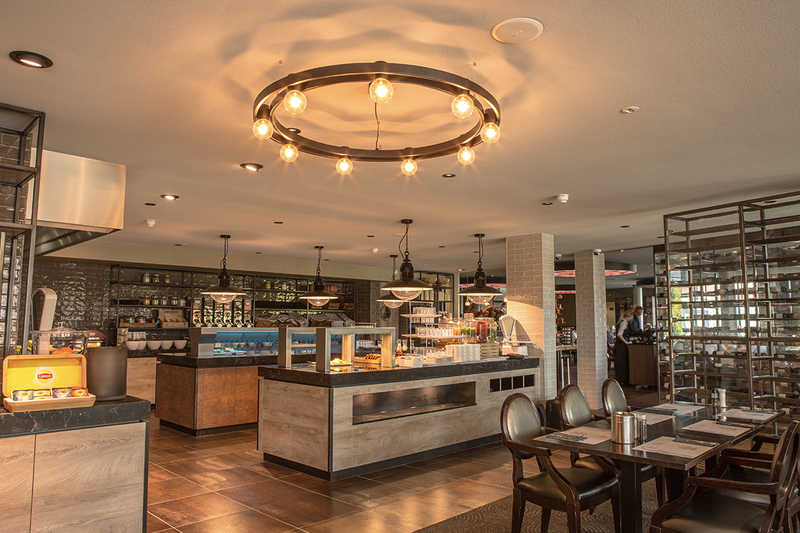 Located on the A16 highway near Breda lies Hotel Van der Valk Breda. An attractive hotel with numerous facilities. You will find the cosy restaurant “de Baronnes” where you can have breakfast, lunch and dinner every day. There is also a Grand Café, as many as 24 multifunctional meeting rooms, a beautiful swimming pool with sauna room and various luxury themed suites. We did a substantial job in the restaurant, the meeting rooms and a selection of luxurious themed suites. In the restaurant we have provided the ceiling with various decorative elements in which we have incorporated LED lighting. The elements immediately catch the eye because we used a tightly stretched semi-transparent fabric with various elegant prints. 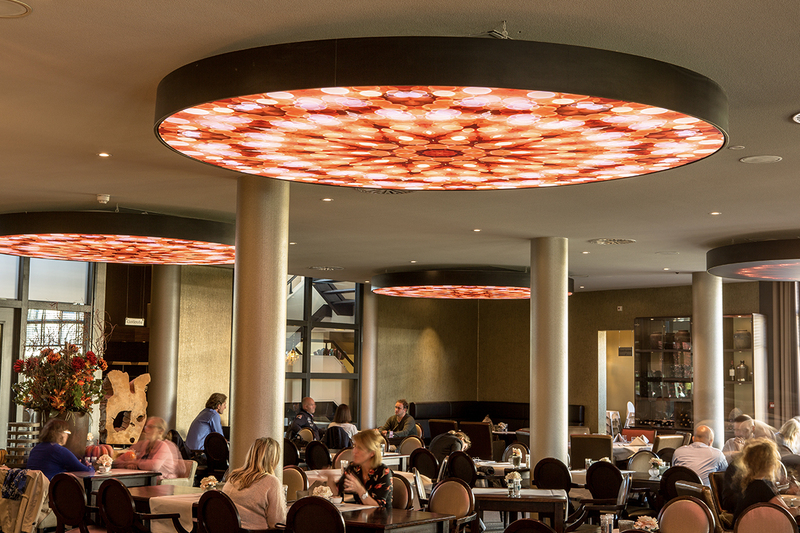 We have also provided the entire restaurant with dimmable recessed spotlights as basic lighting and distributed over the room we have placed decorative accent lighting such as the Flos 2097. The special feature is that each suite has a different theme. For example, there is the Safari Suite, the Cosmopolitan Suite, the Ibiza Suite, the Saint Tropez Suite, the Rain Forrest Suite and the Oriental Suite. So it was a wonderful challenge to provide every room with the right lighting and style of the fixtures that match the theme in question. In every room we used recessed led spotlights as basic lighting. To accentuate the rooms we have placed a number of luxurious and decorative wall and hanging lamps.